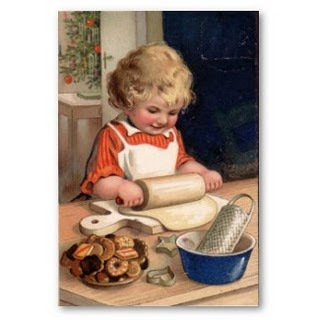 Today's recipe comes from the 1905 cookbook, A Little Cook Book for a Little Girl by Caroline French Benton. Mix the sugar and butter and rub to a cream; add the yolks of the eggs, well beaten, and then half a cup of milk; then put in the baking-powder mixed in the flour and the salt, and then part of the corn-meal, and a little more milk; next fold in the beaten whites of the eggs, and if it still is not like ``a thin batter,'' put in a little more milk. Then bake in a buttered biscuit-tin till brown, cut in squares and serve hot. This is particularly good eaten with hot maple syrup.